We give thanks for a life well live in the light of Christ. 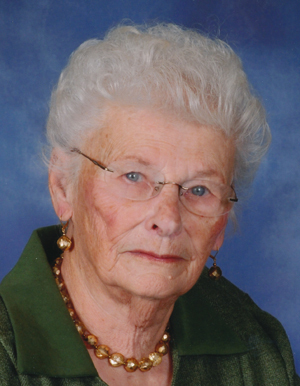 Our sister in Christ, Ira Bell Bathe, died this week. See the obituary below for details about visitation, service and memorial gifts. Please remember to keep her and her family in your prayers. Ira Bell Bathe beloved wife, mother, grandmother, sister, aunt and friend, passed away peacefully on April 7, 2015 at the age of 84. Her family was with her in the days prior to her passing. Visitation will be held at Memorial Oaks Chapel in Brenham from 6:00-8:00 p.m. on Thursday, April 9. Funeral services will be held at 2:00 p.m. on Friday, April 10 at Martin Luther Lutheran Church in Carmine with Pastor David Tinker officiating with burial to follow at La Bahia Cemetery. Ira Bell Joyce Braun Bathe was born to Alfred and Thusnelda Peters Braun on October 20, 1930 on the family farm near Round Top. She was baptized and confirmed into the Lutheran faith at Bethlehem Lutheran in Round Top. After graduating from Round Top-Carmine High School in 1948, Ira Bell married Max (Maxie Boy) Gerland Bathe on November 12, 1949 at Bethlehem Lutheran Church. Along with husband, she was co-owner of Charlie and Max Egg Farm, B and S Sales and Service, Village Restaurant and Circle G Distributing Company, Inc. After the death of her husband, she worked at Leonard and Margaret’s in Giddings until 2000, and then worked at The Gardens of Round Top Festival Institute where she was employed until her death. Ira Bell served as a member of the Carmine City Council, Round Top-Carmine School Board, Round Top-Carmine Mothers Club (Past President), Parents Club, La Bahia Cemetery Association (Director), Carmine Fire Department, Martin Luther Lutheran Church serving on Church Council, the Altar Guild, the Worship committee, member of the Women of the Evangelical Lutheran Church, the Mary Group, Cedar Creek Schuetzen Verein and the Carmine Chamber of Commerce. Her hobbies included: spending time with family and friends, floral arranging, gardening, cooking, baking, dancing and oil painting. Survivors include: daughter Susan Bathe of Carmine; daughter Patti and husband Brad Eilers of Brenham; daughter Laurie and husband Mark Pawlak of Bellville; son Matthew and wife Dayna Bathe of College Station; daughter Amy and husband Shane Scott of Lake Jackson; sister Nellie and husband Burnie Wolff of Round Top; sister Jenell and husband Clarence Jaster of Round Top; sister Fay Graeber of La Grange; sister-in-law Mary Ann Bathe of Houston; grandchildren Megan and Chris Jackson of Brenham; John and Janie Hart of Brenham; Clark and Kristin Krueger of Brenham; Aaron and Lindsey Pless of Katy; Chase and Brooke Pawlak of Cypress; Lauren Pawlak of Katy; Morgan Bathe and Jay Eddens of Austin; William Bathe of College Station; Kyle and Audrey Slaughter of Angleton; and Riley Scott and Lainey Scott of Lake Jackson; great grandchildren Claire and Emma Jackson; Corrine Estrada; Trinity Hart; Kyle, Beau and Remi Krueger; Peyton and Adam Pless; Ariella Slaughter; as well as numerous nieces and nephews. Ira Bell was preceded in the death by her husband Max Bathe; daughter Debra Lynn Bathe; parents Alfred and Thusnelda Braun; father and mother-in-law Max and Annie Bathe; brother-in-law Charles Bathe; brother-in-law and sister-in-law Fred and Audrey Schultz; and nephew Rick Nelson of Giddings. Ira Bell’s grandchildren will serve as pallbearers. Memorials can be directed to Martin Luther Lutheran Church in Carmine, The Gardens of Round Top Festival Institute or the charity of your choice.